This winter has been the coldest and snowiest in about 30 years in BC. I am a Quebec girl and I was raised with snow banks four times my height, 4-5 snow days every winter and temperatures colder than below 20 as the norm. That being said, I have lived in more temperate climates for almost half of my lifetime by now and therefore I am completely de-acclimatised to cold. Cold has been bothering so much this year that I had to turn down a few days of skiing earlier this winter, and believe me, this was though. 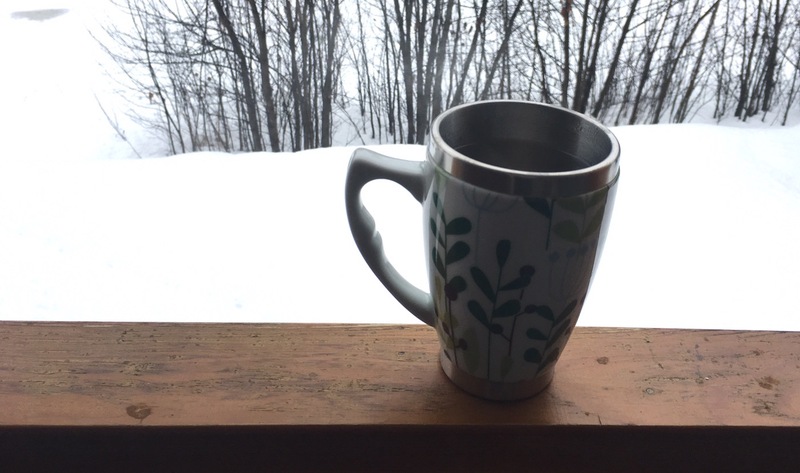 For once, I was also quite happy to be working an office job and sip a warm cup of tea at my desk while my husband was working on the mountain as a ski patrol all day by 35 below plus windchill index. Every morning however, in addition to packing high-calory food to bring him energy and warmth throughout the day, I would see him religiously prepare a hot concoction of some sort to put in his thermos. There are a thing or two that I learned over the years about hydration, exercise and cold weather (and that I confirmed through a few reliable sources referenced below). The first important thing is that we don’t feel the thirst as much when it’s cold; and the thought of a cold drink is less than appealing, which makes most of us drink less. However, dehydration also occurs in cold weather from three mechanisms: perspiration, urination and the vapour exhaled from the lungs. As we climb in elevation, the air gets drier and the loss of vapour is even more rapid. Dehydration in cold weather would reduce the blood flow into the fingers and feet, causing this pain and discomfort and eventually leading to frost bites. The second thing is that caffeine is a diuretic and contributes to dehydration which means tea and coffee must be avoided when adventuring outdoors during any season. Sodium also contributes to dehydration and is contained in high quantity in most commercial energy drinks. Although some sodium is necessary to help balance the level of electrolytes in the blood during high intensity – high perspiration activity, it should be consumed in moderation. The human metabolism needs more water to balance the level of sodium in the blood which causes an even worst feeling of thirst and accelerates dehydration. Finally, sugar contained in drinks shouldn’t be of more than 10% of the content for optimal hydration, which transfers to no more than 2 table spoons per liter of liquid. Most commercial energy drink also present a higher concentration in sugar then necessary. I must say that I find my husband’s favourite recipe delicious, hot & spicy and so comforting that I decided to steal it from him to write this post. Some spices such as turmeric, ginger root and hot peppers are known to provide instant warming and increase blood circulation and I love the idea of incorporating them (moderately !) into a drink. I have named his recipe “Honey’s Hot & Spicy Tea”. 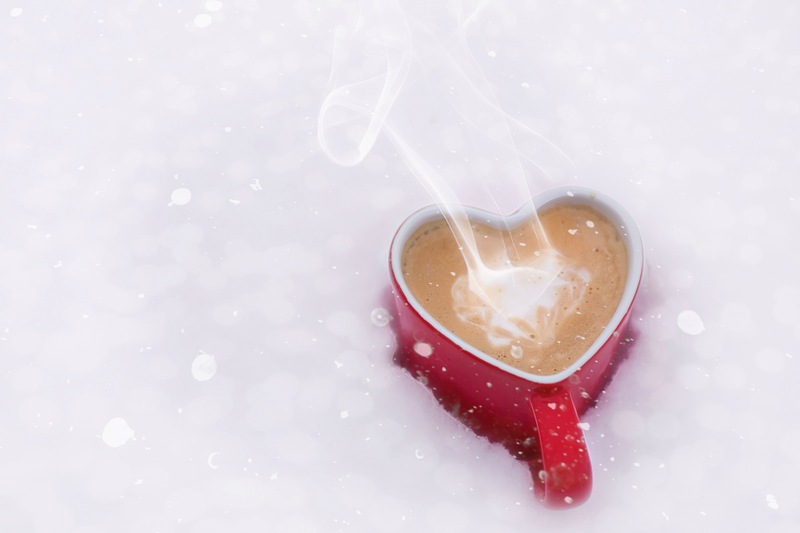 I am also sharing two other hot drinks recipe that I like, just for the sake of changing it up once in a while or for the ones who don’t quite enjoy the heat of cayenne and prefer sweeter tasting options. Here we go. Useful tip: I usually like to heat up the thermos bottle first by letting some boiling water sit in it with the lid closed while I prepare the drink. It keeps the beverage warmer throughout a cold day. Finally, don’t forget to drink even if you’re not thirsty. Drink up! Do you happen to have some good hot drink recipes?